As of 2012, the average home in Bel Air was valued at $244,651. While this is certainly not something to scoff at, it is slightly less than the median home value for all of Maryland: $279,900. So what can you do, as a homeowner, to help boost the value of your home? The answer: home improvement! Large scale projects, such as kitchen and bathroom remodeling, are excellent ways to add value to your home. And with returns on investment as high as 72.2%, according to Remodeling Magazine’s annual Cost vs. Value Report for Baltimore, these projects are smart investments. The only problem: initial cost. A mid-range kitchen remodel could cost as high as $50,000. Yikes! Fortunately, there is a great way to add value to your home without breaking the bank: a Wood Deck. With an average return on investment of 78.6%, a wood deck is one of the best ways to add both value and living space to your home. And your initial investment is much less than with a major remodel. That is what we like to call a win-win! 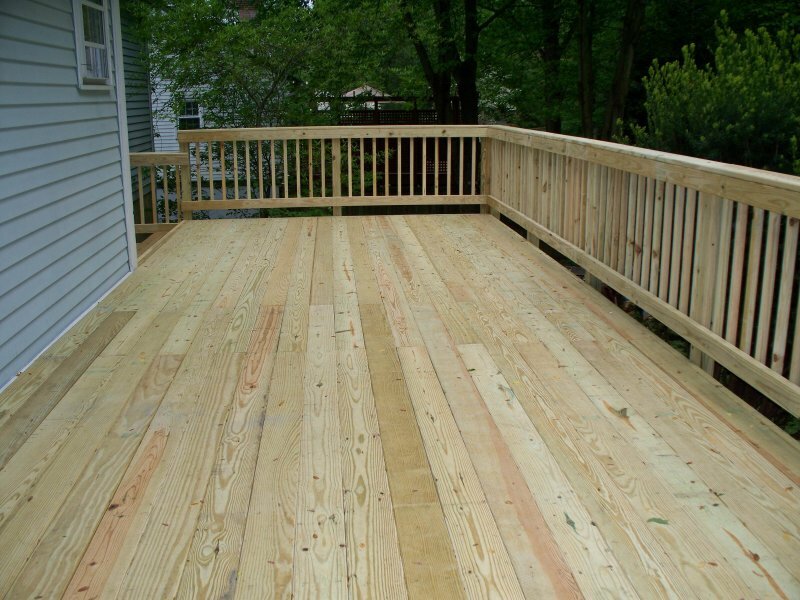 Click Here for more great benefits of wood decking. With 40 years of experience, Freedom Fence & Home has provided the highest quality deck construction services throughout Baltimore and Harford counties. Specializing in Wood (we use pressure treated southern pine, cedar, and Ipe), Low Maintenance, and Composite decks, our crews are experienced, knowledgeable, and high skilled, ensuring each deck we build is properly installed to meet your expectations. No matter the material you choose, your new deck will last for years and stand up to the elements. Click Here for a free quote from Freedom Fence & Home! After our initial visit to your home to discuss your wood deck and take initial measurements, we will schedule a time for construction. Best of all, every wood deck we build comes with a 5-year limited warranty on workmanship and material. If you have any questions about Wood Deck Construction in Bel Air, please contact Freedom Fence and Home by calling 443-271-6841 or visit our website. You can also follow us on Facebook and Twitter! This entry was posted on Tuesday, August 26th, 2014	at 8:27 pm	. Both comments and pings are currently closed.